Hey! Youkoso to my dream journal page! below are pictures of my dream guides/persistent characters that my dream buddy jadegreen drew and painted. I feel they express their personas amazingly so enjoy looking at the pics. This dream started off non lucid at first but as i looked around, and observed a chibi(It looked like Eye)on a paper, my awareness slowly built up till i realized i was dreaming. I was in my old room and not in the palace like i wanted so i imagined the arches of the palace entrance and began feeling for it. I was interrupted by a television that appeared. On it a Gaster like character from undertale crept up from the ground and was telling scooby doo like characters to hush and stay back while he approached whoever was about to come. I wondered if this showed because i depended on my dream guide to become lucid this time. Other smaller dcs began to creep around the floor as they sprawled up as well but i ignored them. My goal was to connect with the use of the palace and to find someones symbol. I began feeling for the edge of the arch door again closing my view until i felt it. When i opened my view i felt a shift and i was now at the palace! It was different though. Anyways, I moved forward thinking to go through the arch when i i noticed i couldn't see well. As I pondered what to do, i decided to walk back remembering that lucid bunnie put her symbol around the entrance. I thought what if it shown within the arch as i walked but i couldn't see well. I felt a slight push after that and as soon as I got out I heard a growl and felt something pulling on my clothing. It was a lion. I kept pushing it back as it attacked me.I also thought what if my thought of a palace guardian made the lion appear but I wasn't going to let it stop me from finding the symbol. I smacked the lion hard till it eventually stopped. However, after all that the dream shifted and I appeared in my old room. "No! It can't be over yet!" I imagined the palace again after closing my view than felt for the arch. I felt it again so i opened my view to see i was under the arch but it was dark and blurry. A force pushed me a bit but i held on until....i was in my old room again. This time on my bed. This was the old room where my dream guide Eye use to appear a lot. I could see that there was a dim light in the hall way and decided to go into the wall for defense. Once in the wall i thought of what to do but i was pushed out. I leaned on the bed than heard a faint helicopter sound. (I just realized the helicopter sound is reoccurring. It popped up in my DreamyWB dream)A thing that looked like a oval lamp with antenna began to float down left to right. This creeped me out so i looked away. However, when i looked back cause i was still curious if it was a symbol, i saw a small bird cage, like the one from my first dream. It came out of the dark corner still with the helicopter sound flying close to me. I could also see that my bird was inside it! "Is this a tactic to try and get me to not look away again? "I thought. It did help. Not only was one of my bird in it, there was also a white post card attached to the side of the cage. The post card had a blue and orange wavy color design with a very small white signature. I was with my dad and brothers outside when we realized my father was taking a while to return.I ran to our old jeep with my brothers, where we found our dad dizzy. Helping him up a bit, i told my brother to drive him to the hospital. When we got there, my dad was already in the room with the doctor who said there was nothing he could do and he didn't know what to do. This frustrated me. Than my dad started to look loopy and began saying crazy things. I tried to keep him calm but than he tried attacking. In the next part of the dream, i was watching a girl watching tv in her yellow/light pink bedroom. I felt small and hopped onto the white curtains. I climbed it, looking forward to get away. 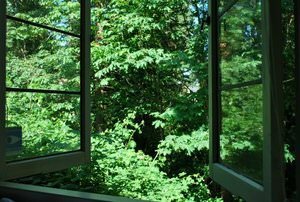 Once i reached the top of the window, i pushed a smaller window open and felt a cool breeze hit my face. It was winter and snowing. I hopped out and flew to my freedom. However, i felt a dream presense still lingering somewhere. Watching me. When i landed on the ground i came across a dog that was made out of metal chains that were broken. I pulled him apart as i strolled on my path but than a huge almost chibi like robot entity appeared behind me. "Is everything okay? I wouldn't want the person i care for to be hurt..."she replied. "Yeah, im good" i said nervously. "Is that you? "she asked now coming closer. "Yeah,I'm KarlaB18! "I shouted impulsively. "You are!? "she replied surprised. I didn't know if that was a good or bad response though so i changed my mind and said "no". 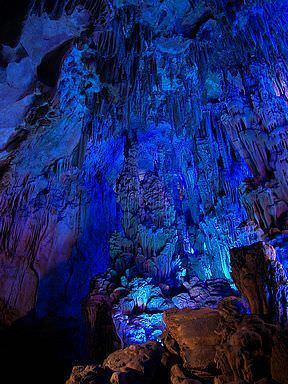 The place than changed to a large blue cavernous place where she erupted and began to unleash hundreds of spirits on me. I dodged the white ghostly spirits as i felt her control putting pressure on me. More and more it started to feel like she was a7/10 hard dream boss. But than i got tired of her putting me in corners as i flew around so i shouted a battle cry and dodged the spirits more accurately and with less hesitation. I than changed my form into asriel dreamurr and began showering the place with star power until the spirits and the girl faded.I woke up with a heavy feeling as if i woke from a nightmare but i found it to be too cool to classify it as a nightmare. I was watching a scene unfold of a woman telling someone how to do something correctly. She mentioned that you had to make a big circle with red and white string than put feathers in it until it ended up being the right scale. (Obviously my mind took this from the pi joke on Hukif Entry) I left her after that and watched a man holding a cigarette enter the now formed bathroom. He than lay in the tub totally out of it and dropped the cigarette. The flame grew big. I ended up where my dad was now somewhere inside the house. We were trying to escape when I remembered my birds. He followed me as I ran from room to room until I found them. He carried the cage out the room with me but than I remembered we could use a fire extinguisher. I didn't know how to use it but I picked one up and tried to get it to work. It ended up spraying the fire a bit but it wasn't enough. That's when mew aliens began to slowly come out of objects and tried attacking us with beams. We ran together until we came upon a door my dad opened. The room was filled with water but we had no choice. We went in and swam up coming across a door on the ceiling. I tried to get in the door after my dad but my movement was going on the opposite direction that I wanted to go. "I can't do it!" I shouted. "You can!" My dad replied. "NO, I cant! Help me!". Than I just buckled up and moved in the opposite direction i wanted to go until i got in the door. I and my dad were now right side up and in the living room. But the mews appeared too. We ran out the door, my dad still holding the cage. My dad ended up in the car with my birds faster, while I was halfway to it. The mews than went though the door, their eyes glowing yellow as they sent yellow energy balls at me. "Open the door for me!" I shouted. When I tried opening the car door it wouldn't work. I had to deflect a energy ball with a random shirt. That's when the door opened, I got in the back seat and than I woke up. 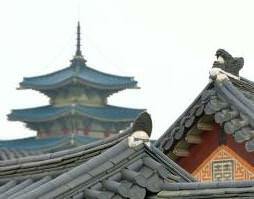 I was laying on a bed in a small room, looking at the floor thinking to myself "Gyeongbokgung Palace". When I realized that the small room I was in had a peculiar small square window with red tape around it. "Gyeongbokgung Palace! "I said knowing that I was in a dream now. I flew out the window and ended up on a clear path that looked like urban Japanese style homes around me. However, as I thought about the palace again I soon was flown and teleported to on top of a gray mountain where I could see more mountains and the city way down below. It was daytime, bright, with clouds in the area. "The mountain is a nice spot but where I really want to go is the palace". I than thought of Gyeongbokgung Palace multiple times until I teleported into a crowded area inside what looked like one of the houses in the palace site. Hearing the sounds of people chattering as they pushed around me I got the feeling I was in a area probably where a cafe was. But since it was a dream it could be any area. I than walked to the side until the crowd lessened and looked at the wooden flooring to see a small black outlined square with kanji and hiragana in it. What I could read was "te, ii noni". It doesn't make sense and wasn't the whole thing but it was something. I than looked around. To my right side there was a counter where you could order something. It was interesting but than I moved into the next room where I became non lucid. My teacher was present and handed me a test back. He said to look at it than handed someone else their test. Afterwards he made an announcement that the trip was going well so far but for no one to get lost. Thats the last thing I remember. A dream where I became a dog with other people. A bear took over our house and kicked me out. My brother tried fighting me with a pencil. I was playing ds with my old best friend but I couldn't hear her and when she got close to tell me something she kissed my ear. I wasn't into her though and thought it was probably a mistake. At the end I was talking to my cousin who was getting facial hair like a guy. Oh and there was a time I looked in the mirror and saw myself as a guy. Notes- It was interesting how my dreaming mind put kanji and hiragana into the square. Squares are common in waking life so it was probably a coincidence but i decided to do some digging and see if i could find anything in the palace that had language in a square. I found three pics with symbols on them. I dont know what they mean and i didnt know the palace had them. After looking at more pics of the palace im noticing symbols or designs on architecture. This makes me wonder if jewl symbol has something to do with the palace. Also do you have an idea what these symbols in the pic mean Jewl? My dreams were consumed by another theme so much so that the palace just wasn't happening. I was in a golden box with a red carpet inside floating in the middle of the ocean. Invader Zim was present and talking to another character about how the situation presented was turning out to be ridiculous. I agreed with him but I wasn't just going to sit and mope. I climbed out and the scene began to form a ground. When I walked on it, I ended up in a purple dingy room that was decorated for a Halloween party. I could hear Teen Titans Go in the BG and thought that while the kids watched it, I would go ahead and eat some of the snacks. I went up to a old dusty reddish chimney where a black rectangular tray had some pieces left of a skeleton candy. But just as I picked up a small piece the wall and chimney began to shake. "He's coming everyone! Hide!". I saw a boy run under the small square table in the middle of the room. I didn't want to go far or somewhere obvious/cornered so I hid behind the near small blue sofa that had a black gaping hole behind it. As I crouched behind the sofa I saw a blurry spirit in the form of a man with a top hat come in. He slowly walked around the small table in the middle. It felt like he was looking down. Seeing through the sofa, I stepped carefully mimicking his movement so I can go around the sofa and keep out of his view. When he chose the person that was out of game and in his view, everyone in the party jumped up and ran in a line close to each other. I stood in between two guys and the one in front of me was wearing a waiter outfit. He had silver glittery cards in hand and began to shuffle the deck as soon as the spirit ordered him to begin. He didn't speak through words but we understood through feeling. I watched as the guy shuffled the cards. There were four that seemed like they could turn around the game. I was laying on my bed when suddenly a guy approached me.He took my hand and put his other hand towards me, saying he would heal me. I felt others present around my now illuminated room and than gently pushed his hand away telling him I didn't need to be healed. He than asked me what was it that I really wanted than. I said I just wanted to understand why things were the way they are. After that I turned and looked at the other characters. They seemed like angels but I mentioned that they weren't. They agreed that they weren't and began to laugh together at my comment. The dream than shifted and i was now in a sandy large circular area where large arches had bars in front of them like jail cells. I could hear noises coming from it and felt like it symbolized restraint for wrong doing. 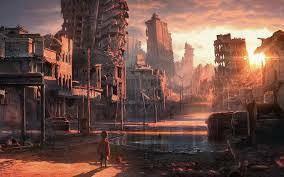 After that the place changed again and I was in a room with what was supposed to be an evil person. My mom dc was present as well. While she was cooking the person made a small fire appear that burned my mom than summoned a larger fire. I blew out the fire and asked him why he was doing that. He said because he didn't care. I asked him why, is it because he lost someone he cared about and now no one else matters. He said yeah, kind of hesitating. I smiled feeling like we made a break through but this made him uneasy that he climbed out a window.The guy from the start than came back and told me that we would continue tomorrow. After that the dream shifted and the guy from the start of the dream came out again and brought me to a light blue hall where the others from the start were grouped together. (For a moment u wondered if it was tomorrow yet...^^")I was asked to try and help them in a short amount of time.As they began to walk around doing their own thing I walked up to each one telling them things they could do to better their situation and change their perspective to a more positive one. But even if it looked like it helped some slightly they all came together and began to laugh without facing me. I asked why they were laughing and why couldn't they just understand. It than got to the point when I wanted to smack one in the head but I stopped myself because it was not right. Instead I sighed and just watched them laugh. "Their obviously doing it to annoy me".The guy from the start than came back and asked me if I understood why things were the way they were now. I said yeah and understood that there were many opportunities for change but they didn't want to for some reason. He than brought me to a table with a yellow creature in btw us and showed me a metal with drawings on it that he drew. He said that I did a good job in changing some slightly or making them think even though I failed to make them leave the side they were on. I was trying to lend someone a pen but they were upset with me and didn't want to take it. After that I ended up in a facility where I zoomed up btw some escalators. I passed a repetitive dc than heard a dc singing a lovely song in an unknown language. "I wish I could make music like that" I thought than sat down to listen. The dream than shifted and I was in a room with green colored walls. There was a girl present who asked me what music I like. I said I like metal or rock but I do enjoy pop as well. She than put some rock music on and I left to find my younger cousin. She was in her room doing her best to ignore me with a poofy black short vest on. "Why is she wearing that?" I thought. I than flipped over a group of games in a basket where a final fantasy game was. This annoyed her so she flipped it back. Curious if she would do it again I did it again and the result was the same. Notes: Perhaps to get to the palace I need to try meditating on it so I can clear my mind and have more of a chance of it becoming a theme in my dream. Next week I know its going to be another place but I still want to see if I can get myself there. On the bright side I did get fully lucid but i got distracted and wanted to see the end result. I cant recall a lot. There was so much going on though. I was with my brothers who were playing a mario game. They had to bounce mario on this huge plant until a burst of wind blew mario far away. While Mario tumbled in the air you could make different moves to help you catch the coins as you continued through the moving setting. I asked my brother to let me try than. After i bounced and was blown away i felt partly immersed and was having fun till I noticed the characters could change. Mario ended up changing to wario than waluigi. Next thing I recall is i was 12 and hanging around some other kids. One of the guys who stuck next to me looked like Eye's realism form. We were chatting together casually until someone shouted that a bombing was occuring. We ran as random characters began to pop up in our view. According to a man who was there we had to stay hidden from their view. As we sat at the bottom of a leveled sandy ground someone tossed a small technological bomb that was in the shape of a hexagon. It was lighting up in the middle about to explode. (Looked like the bomb fox has in melee)The man shouted for everyone to duck than covered me with his body to shield me from any debree. Knowing that a stranger was protecting me like that, made me feel so happy. But things died down after we went in a different direction. The guy who reminded me of Eye ended up handing me a present. It was wrapped in pink wrapper with red hearts on it and shaped like an envelope. When he unwrapped it though it changed into a pink maid outfit. He than took out a pink hair band for my hair and a short pink pants with red hearts on it. Everything was cute and reminded me of a design i had on a pink sweater when i was younger. After thanking him I took it. We were than approached by the other kid who asked me how he got a scratch under his eye. I laughed and replied " the catterpillars bugs and worms crawled on you when you were asleep. Than you stumbled upon a forest where you fell "and something else i cant recall. As i woke up i laughed at the absurd story i came up with. I was semi lucid in this dream and with my dream guide Eye. There was a baby shadow thing with a pointy head that ran towards me in the hall but Eye pulled me back than pushed it away. It tried to touch me again but Eye pushed it harder till it stumbled than dissapeared. He than showed me to my backyard where I saw a open carboard box that seemed like a small shrine but with flowers as the central object. 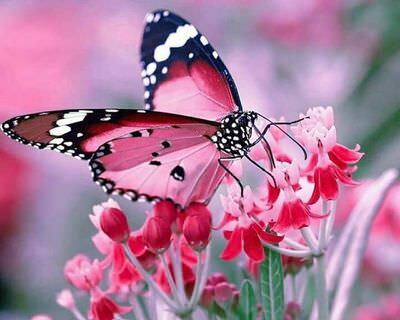 There were many butterflys of different colors fluttering around. Ivy green, white, orange and another color. I didn't focus on it for long though. I followed Eye again till we ended up in a huge place with violet walls and i suppose a pillar/long stairs. It was an important place but my memory of the place is deteriorated now. Something ended up happening there but i can't remember. After whatever happened, occured, I went into the kitchen of my old home where Dawn showed up in a suit and tie. He than took off his suit top than asked Eye why he didn't make him something to eat. The way he was acting reminded me of how we use to roleplay in dreams when i was younger. I decided to go along with it and watched as he began to fry some peppers in oil and prepare vegetables/salmon. I felt excited to cook in a dream though. Cutting a pumkin and tossing it in I told Dawn that i would take over even though the dream limited my memory to cook vegetables and salmon. The frying pan began to overheat though. Not knowing what to do Dawn pushed me back annoyed and said to stay back. The next part i recall is that I had a false awakening. In the false awakening i heard people out the window and told them to shut up. (I was cranky in the dream cause I couldn’t sleep)A man got furious in return and said he was going to kill me for saying that. I said sorry but he was still upset so i focused on summoning a guardian to protect me. I saw the scene change into a white place with colorful scribbles on the ground than i warped into the air where two anime girls sakura and ino were telling me how to summon Sasuke for protection. I became semi lucid there than they began to swing me around so i could get the flow of the motion of summoning. I went through the flooring easily until i landed on a bed where sasuke showed up. Eye was around too but the scene changed quick after that. I was looking at dream views but than my view zoomed in to a yellow background where someone replied to me. (Thought it might be psoink but i wasn't sure cause i couldn't see a username) I thought they replied after they read my dream but they said "I liked the part where the head was floating". With a smug emoticon and other random emoticons. (The smug emoticon probably occured cause i wondered when would anyone use that yesterday.xD) I didn't recall when that scene mentioned happened in my dream though and wondered if this had anything to do with my dream goals. (I didn't even recall the palace here. Notes- There was a scene where a cockroach appeared too but I don’t remember when. I was laying on my bed but than I was pushed and dragged off it slightly. The dream than shifted and I was in a room where I thought a demon lurked around trying to trick me. It eventually turned out to be a harmless unknown thing that fooled around time to time. I than went to watch some tv show of a anime where the bad guy was about to be defeated with the main hero's powers. My dad was also around during this dream. There was also a scene where the thing said my brothers were playing a korean game where they would shock themselves with electricity slightly. I was going to warn my brothers but than shrugged it off as a lie since they knew that will put their life at risk. I was laying on my bed and thinking about how when you just wake up you can see images appear for a few secs. I than noticed a image thinking it might be a moving shadow. But when it jumped behind me it took the form of a guy who started to laugh at me. The dream than shifted, too quick for me to think about it and I was now looking at a woman who told me that I was in acoma. (I'm pretty sure my dreaming mind came up with this because of the 18if anime)She also mentioned that if I wanted to wake up I would have to breathe in relaxed and let the blood flow around me in a way that didn't apply pressure. The next option she offered me was to go on a roller coaster ride in the huge meshed facility I was in. I decided to go on the ride so I did just that but it just felt like a flashed image that occurred in 3 seconds. Everything there seemed too dreamy and out of place to be legit but I just decided to go with the dream even though I couldn't recall where my current body was. I was hoping to see Dawn my dream guide as well. As I walked around a girl approached me and asked if I had to go through the same situation as she did in her past life. I said yes and acknowledged her presence before we parted ways. I saw people all around sitting, chatting and even said hello to a Chinese food guy who looked like the chef in the place I was in. He didn't turn around though. Than soon after that I was approached by a short guy who said my test was about to start. I figured it was a dream test but when I thought about it some more I decided to ask him a question. "What do you think of demons? (I was curious if the dc had a answer that had some moral to it) He said he wasn't sure while preparing something in what was now my old home kitchen. "Okay...whats your name?". His friend than came in and they replied "Vincent and Ven". (Maybe my mind got this from vincent van gogh) Afterwards the short guy asked me to follow him outside. Before we headed out through the second door a flock of black crows and dark pigeons burst in through the door. He than threw a scythe at me. When I caught it I asked him if he was into soul eater like Jade. He didn't answer that and shouted at me to fight off the birds as my first task. I thought about it than said no. He asked me why and I told him because I don't need to harm the innocent birds to win against my opponent. He said it was fine but than something came in and blew him down, slicing his pants. He looked at me annoyed as if to say it was my fault so I said sorry than flew out the door and ended up in a room. Once in the room I hopped out the window and caught a metal to grip onto. I wasn't that confident in my flight yet. I saw a little chibi around hiding and wondered if Dawn would show up. But than I decided to stop worrying about that and about my flying. When I hopped off and let go of my fear by also singing a comfortable song I was able to fly freely without lack of control. As I flew around I ended up back in a house where someone said that my music taste was comparable to the songs from the wizard of oz. I ignored that comment and flew to a different room now where i saw a monster in the form of a human approaching a group of teens. They all had melted portraits behind them and melted candles, one each in front of them.The monster said it was going to kill everyone of them as they cried out for help because they were already tainted. I felt like i could do nothing since they were already tainted but as i flew away i thought of them reviving after the monster got them. Thats what happened and than the monster was gone. The teens ran to a room excitedly together and were chatting away happily until one created drama by cheating on his girl friend. I tried to fly away from that scene but I couldn't quite get outside. A Asian man was getting a shot from a very small needle filled with blood into his shoulder. I took the needle and put it into my shoulder to make sure It was properly being done. Than I asked my mom who was next to me why they were giving him a shot of blood. When I asked that by mistake I got blood from the needle onto my mom's mouth. She licked the blood around her lips than told me casually that the blood had vitamins in it and was good for the man. I found that reasonable and didn't think much about why she licked what was now my blood. I figured it was because she was my mom and she cared about me. I was creating a model of a city where I pointed out a blue building with yellow windows. I was planning on placing people around. Notes:These dreams are kind of dark and twisted in a way but since there are still positive moments I think its because even though there is bad, I try to see the good of a situation. Next I recall being in a fast food restaurant. There were two guys working there handing out McDonalds breakfast sandwhiches. However, after one of them handed a lady with a child a sandwhich, the server made fun of how the bagel bread was not really bread and that what she was eating was something else. This was dissapointing to watch. Afterwards I was in my old house yard where my dad, brother and I were planting plants in the yard. There was one specific plant that my dad said would remind me of my childhood. I looked at the plant and tried to fix a clump of dirt that was attached to the roots. When i finished with the plant i went somewhere else. I entered a bus to tour a place with my family. I saw that there was a top part of the bus where people sat on seats that were attached to wires. Kind of like a ride. "Good thing theres a regular seating place" i mentioned to my bro than sat down. We eventually arrived to a airport where my brother was planning to take to go home. I wanted to go but than i decided to stay longer to enjoy my vacation. When i walked away i ended up at my old home though where a group of strangers who knew my mom walked in saying it was their home. Not wanting to argue about it, i left and as i was walking a dc approached me and began poking me a lot. I became aware somewhat that it was a dream and ignored the dc till i noticed we were in a place surrounded by people from tailand. We were under a car repair shop. They made me think of the palace but i didnt quite grasp that i wanted to go there. So I turned around but than a dc asked me to enter a narrow place. "Why?" I asked. "So we can play a korean game. You go inside and we'll sing the song. It goes like this-" he replied back. I did go in curiously but than went back out cause it was ridiculous. I ended up meeting a girl there wearing glasses, who was in a short light yellow green dress too. She was in the kitchen working as a cook there. She didn't want to be there but she kind of had no choice. Last thing i recall is that the dream shifted to another old room of mine.I was fully aware it was a dream and saw a cousin step in and take out a mouse trap from the closet. "What are you doing?". I than followed them to the hall where they placed a mouse trap on the wall than walked away laughing. Notes:I was hoping for a better dream but eh, it was an okay dream. 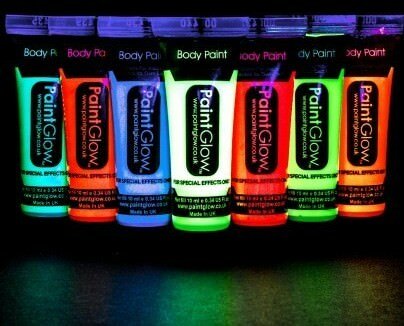 I might buy glow in the dark paint someday to see what i can come up with. I was thinking about going home and knowing that my dad wouldn't let me borrow his car, i decided to take it anyways. (I wouldn't do this in WL)When i was driving I wasn't able to control the car properly though and ended up passing the stops. I was able to get control somewhat but than i noticed there was a older man digging up some dirt on the road. He looked suspicous so i changed direction. The dream shifted after that and i was in a home in the country side. My dad was in the room and told me not to get up because he wanted to see who would come in. I told him i wasn't going to do that and got up to go outside. The scene changed once again but i was inside another house that was dark and purple tinted. There i was approached by a old animated man who handed me a red metal rectangular case filled with red badges that were made out of shiny diamonds. I liked how bright they were. There was also a mewtwo figure present. I wondered why it was there but as i felt the hard cold figure i realised it had to be because the mewtwo pokemon movie had been important to me during my childhood. But did i really deserve all the badges? What was i getting them for? When i exited the rectangular window i noticed i was in a pokemon like world where the islands were connected. A blonde anime guy ended up flying towards me there as the sky became a yellow orange color.He told me that the places were connected for the purpose of helping me on my journey. I figured that that was the case since in pokemon ash ends up on the islands without much problems.i also got the feeling it was a dream here but i dont recall how long that lasted. Last thing I recall was that i was waiting outside a classroom when I noticed a girl passing by. She reminded me of Jewl's avatar. 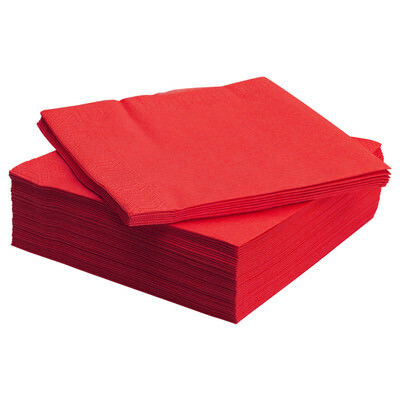 I than looked down and noticed a red napkin on the floor. I picked up and used it to blow my nose. I liked the red color but now i was just being weird so i threw it out. Reminds me of when i read that charles ate something from his shoe. Well after that i got up and noticed many blue windows on the walls. I picked up one that was detached on a table and placed it on a wall. A classmate from WL than came up to me and asked me what was wrong. I told her nothing was wrong and we entered the class. My teacher ended up talking about the things that make a person happy. Asking us to raise our hands if we got a 85 or 93 on our test. I raised my hand when he said 93. A girl who seemed like DreamyWB was present.She was wearing shorts and a white shirt. Her hair was in a bun. So it was probably just a dream partly influenced by what i read of her and not her fully formed character. The scene she was in was pretty unexpected too. This dream got really weird but here goes. I was in a unknown house but it felt like mine. I was trying to change but my mom kept popping up. This annoyed me enough that I hid behind the shower curtains. When I got out and walked in the hall my dad came up the me and wanted to say something but there was water leaking from his head. Enough that it filled up the room a bit. I became lucid somewhat after observing his leaking head.”What could this mean?” I thought. When it stopped I asked if he was okay. He said he was fine so we walked to the living room. There I heard a commotion coming from the window and looked out to see a little girl and other dcs surrounded by light. They were talking to each other about how they were looking forward to coming inside. I told them they could but just when they came in there was a large rumble and an explosion occurred on the ceiling that caused broken glass to fly in all directions. I got cut a bit but disregarded it and looked towards the stairs to investigate what had occurred. There was an evil villain present,I heard his voice, but I couldn’t see him. As I searched for him I was handed a small orange mouse that than changed to a yellow hand size pikachu with blue cheeks and ears instead of black. It hopped off my hand and I began to follow it until It grew super large. It began attacking the house I was in, following the orders of the unseen villain. I didn’t think I would have to fight it so after getting across some obstacles I began to talk to the creature,telling it that it was being used but it didn’t have to be bound by selfish orders, that it could be free doing what deep inside it knew felt right. 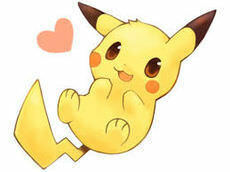 The creature/pikachu thing than shrunk back down to hand size but now it looked more like a bunny to me. I picked it up,kissed it and rubbed my cheek against its soft fur, telling it that it would be okay now. I opened a room door to see if I could find the villain after that but only saw count Olaf from a series of unfortunate events.He only seemed like a substitute for the villain though. The dream than shifted after that and I was watching a vivid scene unfold. A girl who I thought was DreamyWB was with her family doing the laundry outside on the house deck. Suddenly a large tall man came with a guy family member of hers and greeted them. He mentioned how the laundry they were carrying looked heavy and he offered to help her. She accepted the help but than the guy complimented her eyes. Almost like he was flirting with her without trying to get the attention of her family. She thanked him than complimented him back saying that he had beautiful eyes and teeth. (As they kept talking I noticed she had bits of almonds in her teeth though so I used dream control to keep it from getting awkward)This flirting moment stopped though when the other guy told him to carry the basket in and that they would go buy something together. This disappointed him so he admitted that he wanted to spend time with her while helping. They joked about this in a friendly manner than the scene shifted. It was now night time and I was in a apartment where a little girl stood next to a doll house. The girl who I thought was possibly DreamyWB was present as well. I was about to follow them(Didn’t recall to introduce myself, I wasn’t sure if it was her so perhaps that didn’t matter)but than we heard a subtle helicopter sound. When it got louder I felt it focus on me and than it began shooting lit up colorful buildings outside. Other buildings collapsed because the energy couldn’t travel to the buildings properly. Something about this dream felt wrong even though I could handle it so I tried to put intent to wake up. I ended up in what seemed like sleep paralysis cause I couldn’t move.What was even more odd was that I felt a hand on my head. After waiting a bit I took the hand gently and put it to the side. The hand had a pink purplish flower bracelet on its wrist but the rest of the form wasn’t visible.” Could this figure be symbolizing my fear of death?” I thought. The hand than vanished and I watched as the same type of flowers from the bracelet appeared as transparent images but with the stems. When it disappeared I woke up for real feeling kind of disturbed but It was still an okay dream. Notes:I also thought it could symbolize my fear of death because before i went to sleep i read something that scared me somewhat. I was inside a classroom feeling like i was 5. I had been put on timeout for some reason. As i looked in front of me a large picture book appeared and charlie brown began to read different objects on the book with a narrative to it. I didn't recall what he said though. Next I was normal again and looking at a dry eraser board in the classroom. Suddenly someone threw a splash of pink color at it. I was like "what the heck?". Than got up and picked up a pink lip stick that was on the board under the liquid and began to use it. After that i turned and left the classroom. I was walking with my dad in the street when he pointed out a bowl of rice on the floor. I picked it up and began to eat it because i was hungry but than i noticed blue paint was subtley in it. "Could it be poison?" I thought but in the end i disregarded it because i was hungry. Afterwards my dad pointed out sushi as well but i couldn't find it. Fast forward and I'm now in front of a house i thought was mine but it looked simple, stretched and the front was different. I wanted to go inside but my mom appeared and i forgot what happened next. I was like 15 years old in this dream and was walking up a hill when i noticed the bus passing by. I wanted to take it but i decided to take my phone out to message someone. That's when a tall slender guy wearing a turtle neck passed me by telling his friend what the password to get into my internet network was. (It wasn't my real password or name)He said the name and the password was TrulyP. I got mad because i felt they were stalkers that could compromise the saftey of my family. His friend crossed the street in his orange sweater so i took the opportunity to try and take his phone away. "I can change my password but what if they try to do something bad before than. I can call 911 but than they'll get away"is what i thought until i shouted for him to delete my info. I was able to take away his phone but i hesitated cause i felt he could cause me harm. He wrestled with me for a bit till the dream changed to a fusion of my home and his home. I felt he had the upper hand here now and looked at his phone to see a icon called gunscopy. He tried programming the gun to shoot me so i fearfully ran behind the door like a idiot. I just wanted to go home now. When he shot me i became semi lucid cause i was unharmed and his form changed. I chopped his wrist angrily with my hand for attempting to hurt me for no reason and told him it would only make me stronger. He followed along in a non aggressive manner after that. I appeared in a big apartment building that had been hit by a hurricane. There were a lot of broken toys, mostly red outside. I walked inside unsure of what or who would appear. There was a lady and a little boy who entered. Than another little boy followed. I moved into the hall instead of staying at the entrance area. The walls were now gold instead of white and the carpet was red. A group of dream characters barged in crazily. I continued till i found a bedroom where a girl was mixing a bowl of cake batter. There was a tape on the bowl that said 1932. "What date is that?" I asked. She replied "1982". It switched to that number than i looked somewhere else and it ended there. I was thinking of someone guiding me to Dawn. First I was in a white void than i was in what seemed like a cave where the wind blew heavily. I was pushed to a scene where small brown creatures popped up happyily but than i arrived at the end of the cave where a blue rectangular emerald necklace hung in the middle of the wall. I was non lucid at first but I'm skipping to the lucid part. I had entered my old home yard after exiting the window and after I bid farewell to some guy. After that I flew into the sky. Once i landed I found myself on top of a curved black metal thing as I looked down below to see the height exaggerated. I was waaaaaaay up high and below me were dark buildings at different heights for me to land on. As I jumped and landed on the ones I chose I also took note of the crimson colored sky that also had various warm tints to it. I was enjoying the setting but than random women appeared and a race track formed. I decided to go for the race but I was pushed by one of the women. This led to me messing up her jump. Keeping herself from falling she held on to the track till the scene shifted. I was now sitting on a patterned floor looking at a guy who looks like vincent van gogh and another girl. As I was looking at the guy observing him, he got an attitude and told me that I needed to change the observant part of my self. I tried to get him to explain but he just seemed annoyed so I got up and began talking to a little Japanese girl. I tried out some Beginner Japanese on her and she corrected me saying that I had to end my sentence with desu ne. She wasn't entirely wrong since I was looking for an expression that meant I wanted a confirmation. Than thats when I saw a older Japanese guy step in front of us. Thinking he was her older brother I smiled as I watched him bow a little to greet me. I than shyly ran behind a pink wall as I watched the screen where my mother,the Japanese guy and my brothers were fighting in a game with their chosen characters. I was non lucid in a car with a teen who said that I would be poisoned if I ate the Jello made out of bee honey. I chuckled then dodged their attempt to feed it to me with a spoon. Next thing I recall is I was in a mall where I asked a woman about someone's power ability. They responded to me with a neutral stance that was kind of a let down though. Someone than started attacking the place and I became lucid. A random group of people began fighting each other. Apparently for dream bases. I ignored it as I looked at a flower plant with gold leaves in a small pot on a window sill. These dream entries are longer than I expected them to be. I hope this means progress. I have a feeling long dreams still won't appear as much though. Hopefully the memorable short ones will still come. I was living with a family who seemed asian. I was the adopted sister I think. The grandmother wearing a traditional comfortable outfit, lime green and yellow, entered the room and told my sister that the plane flight was ready for her so that she could escape and that her father would be picking her up soon. She replied with an "okay, thankyou Grandma"than stepped out the door. It made me feel unwanted to have to stay behind so I crawled onto my bed feeling disappointed. But than for some reason someone began drawing in the living room. This inspired me to finish my art project. I took a paper and brush and began painting what seemed like an orange tree or bamboo stalk. Than I got an epiphany and decided that golden leaves would fit perfectly. As i stroked the page with yellow paint leaves began to form kind of like they were growing on the page. When i felt it was complete enough to take a look i pushed the golden leaf stalk out of the page by feeling myself pick it up and it manifested. It was pretty tall, almost up to the ceiling but felt like it didn't have much weight to it. I stood it on the second drawer cabinet of a white small plastic table thing than admired the view of it within the room. After a dream shift I recall being inside a stadium or gym with a crowd of creatures and people all around me.There was a white bat like human pig creature announcing the battle between I and another being was about to start. I lept towards my opponent, knowing I wouldn't hurt them and that it was somewhat a dream but than after two attacks, block and defense moves btw my opponent,somehow it was over. The announcer than shouted who would like to battle next. I shouted for me next and ignored Gohans attempt to try and battle. But even after I made the puppy dog eyes and fell to the floor the announcer said no and picked someone else. Knowing that the battle didn't mean much in the end and that I had, had my go, I decided to leave the stadium. I was now in a huge school yard and remembered that I had to go to class. Once I ran up the steps, I saw someone order a robot to roll up the stairs. It was working on electricity and as I was going to class I heard others asking the guy questions. I began to ponder about them as I sat in the classroom till it felt like evening or late afternoon. I walked down knowing I was wearing a white shawl with my short white dress. But by the time I was outside it was gone. I ran back inside with someone who said they would accompany me but when we reached the classroom the building began to shake. A villain had attached a detonator to the school. Knowing those around me had powers, including I, I jumped out the small rectangular window and ran as far as I could from the detonation area. As I ran I saw a girl holding a baby and began to feel like i wish i could hold the baby but than i continued to walk towards the inside school garden, where light shone above the circular/dome glass. Next the dream shifts an I'm at my old house room. I see a rat on the floor and a girl's voice points it out. Than the rat becomes bigger and changes into a short black dog with a purple scarf. A man who looks like my old middle school social studies teacher walks in than snatches the dog. "you can't see her anymore" he says than leaves. "That's not right.Don't worry, ill get her back for you". I'm fully lucid now and step out the room to see the living room is dimly lit. I stay put than feel a dark energy form as wind begins to push me back. "No way, im going back because of you!" I shout. Suddenly after focusing my view more I see a short dark shadow who looks like a stick figure alien with angular points for hands and wobbly arms. He pushes more dark energy my way. melody lol)The shadow slightly shifts than is out of my view as I step back further. I no longer feel him. I think this was the time I looked to the bed and saw someone with holes on their back and a smiley face. I tried to heal it but couldn't. They seemed fine though. I was in a apartment where people had gathered for a party when suddenly a invisible figure grabs me by the hand and begins to show me the way. I become lucid thinking that my intent to summon Dawn worked when I notice he walks me into a restaurant. "I don't feel like eating dream food so why are we here? Can't we just sit down?" I think as I look at the people in formal dresses and the red carpeting. He than sits me down and I begin to ponder if he is not Dawn but has the other dream guide's personality. I see an outfit form than that looks like a light purple pants and tucked in collar shirt. But still no face. They than sit next to me and give me a hug. I hug them back but surprisingly they start blowing in my face softly. I don't know why but I begin to giggle for some reason. And as they laugh next to me, they than decide to blow harder till I'm pondering why they are doing such a thing. When they stop I see their form change and they become more muscled with blue hair that reminds me of Eye. I tell them to stay next to me and observe as scratches appear all over them. Seeing this as a opportunity to heal someone I manifest a cream ointment (ignored the lotion name on it) by asking it from someone. They hand it to me and I ask if I can put it on who I thought was Dawn. But as they touch their scratch they say no and seem like they are just relaxing within whatever form they are in. After waking up from that dream I came to realize that I really am expecting many stuff from my guides and in order for me to see true forms I need to be balanced and push aside my expectations and let in acceptance. The only part of this non lucid dream that caught my attention was that I was looking at the forum which now had a peachy colored background to it. For some reason Psoink was there and was writing to another guy on the forum. Don't think he was a real user. I don't remember what it was about but I recall someone writing no. I was nonlucid in a grocery store with my family and other people. We were living in an apocalyptic world. Not totally trashed but taken over by other beings. I was looking for something to eat for dinner and found a salmon can that was from 2005 and another from 2007. Knowing I only had rice and some beans I contemplated eating. " Can I eat this?" I asked my dad. "When is it from" he asked. "2005 and 2007" I replied back. He said "no". " I don't care if its expired I really want to eat it...I haven't eaten any meat in a while" I mumbled to myself. I eventually put it down though and found a sausage can that wasn't expired. "Nevermind I'll just get this". I brought it to the store seller and put it down in front. The store seller ignored me though and was drawing something on paper for another customer. I than looked to the side and saw people hiding in the corner as if they were playing hide and seek. I was annoyed as I watched the store seller leave the front and watched the people to the side for entertainment. A presence than came through the door and the room began to darken. It felt like it was a dream world now but with real entities as if I was astral projecting. I flew out of the grocery store as the unknown figure began to blow everything in the store apart. The dream shifted after that and I was in a car with my dad, someone else and a woman with black straight hair. She came up cause I read nebulous dream before I went to sleep. I was listening to her talk to my dad in the black jeep as we passed by mountains below the night sky. "I was going to go to PR but than I decided to stay home because I wanted ro eat some of that delicious cake"(vanilla)is what she said. At first I thought "wow, thats what I would have done too" but deep down I knew it was that she wanted to stay with her family. There was also a scene of me coloring my character's eyes light blue, pink in the middle and light green. Forgot when it happened. The dream than shifted again and I was now in a really huge home fit for a king. It seemed like a Museum but also a church though. Mainly cause of the tall arched walls in the dream. It felt like I was dreaming again and as i looked around I took note of a woman who announced that I would be the one to stop the guy who was causing the destruction of the world. When I felt him get closer I tried to lose his attention by flying out through the window however the world was transforming in a way that didn't allow me to. He ended up seeing me and attacked with a wind like movement. I dodged than flew closer to the ceiling after I exited the room ro another one. It worked but he spotted me again. A female figure ended up helping me use my "clear" powers to distract him until I came up with a plan. My plan ended up being getting out of the place to go to a safer area to battle. As i exited the blocked narrow window the female figure changed into a fairy and began singing with me "row row row your boat, gently down the stream. Merrily, merrily, merrily, merrily, life is but a dream" in order for me to pass through the window smoothly and gain control. She showed how happy she was that i made it but than paused and asked me why i was tearing up. I wasn't crying though.i was a little disappointed i didn't defeat him quickly.Woke up after that. I was semi lucid during this part of the dream. I was in a room that was merged with an outside scenery, talking to a girl when suddenly Dawn came by and said he brought me a present. It was a big wooden connected ring that was made up of small wooden cubes that came in distinct colorful patterns. I thanked him for it but thinking it was supposed to be a bracelet i put it around my wrist. It was too big though so I took it apart, detaching it and putting it back together as a smaller ring. It was still pretty big though and i couldn't keep the cubes attached to eachother because of dream gravity. A big chunk of it fell apart. In order to save it i used dream control to put it back together. It worked well. After that when i saw him come closer i apologized for messing with it but told him i was only fixing it so that it would fit.He said it was okay. We sat down and he told me "she died at four years old because she was only surrounded by indoor lighting and she needed natural sunlight" and something about them living less. I felt sad that she was gone but accepted that it was what happened. Notes:In this dream Dawn made me realize that i need to pay attention to my bird's getting the light they need more. The gift didn't need to be an accessory to be important either. I should have left it as it was instead of making it into what i wanted it to be. I tried painting the patterns but it's not coming out right, my memory is also failing me so I'll just leave it like this. I think its okay enough to give you idea of what it was.